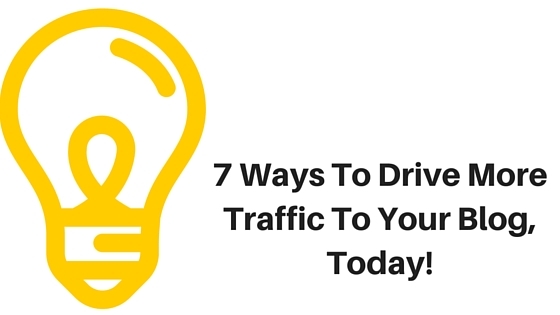 7 Ways To Drive More Traffic To Your Blog, Today! Who doesn’t want more people reading their blog? Generating traffic and keeping it flowing takes persistence and consistency. Use these 7 tips to make sure your hard work pays off. But I already write so much, you think! It’s probably not enough. QuickSprout’s Neil Patel found that by upping the high-quality blog postings from five to six times a week, blog traffic was increased by more than 18%. Six blogs a week might not be the magic number for your site, but once you realize what yours is, stick with it. For the most part, traffic increases for blogs are scalable – you need to build a consistent visitor count, and offering them a lot of quality information will encourage regular readers. 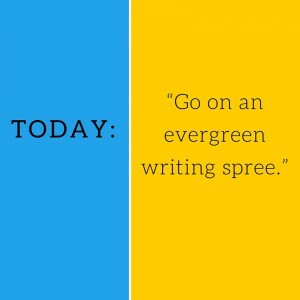 Writing evergreen content also falls into this category. 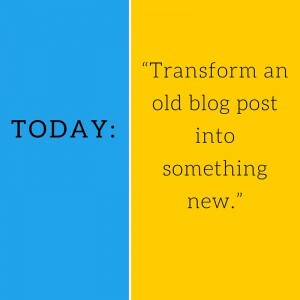 If a blog post is evergreen, it means the topic is still relevant and useful weeks, months, years after it was originally posted. Evergreen content isn’t written on trends nor does re-posting old content make it evergreen. You want to write something covering basic principles of your niche; things that aren’t going to change next week. 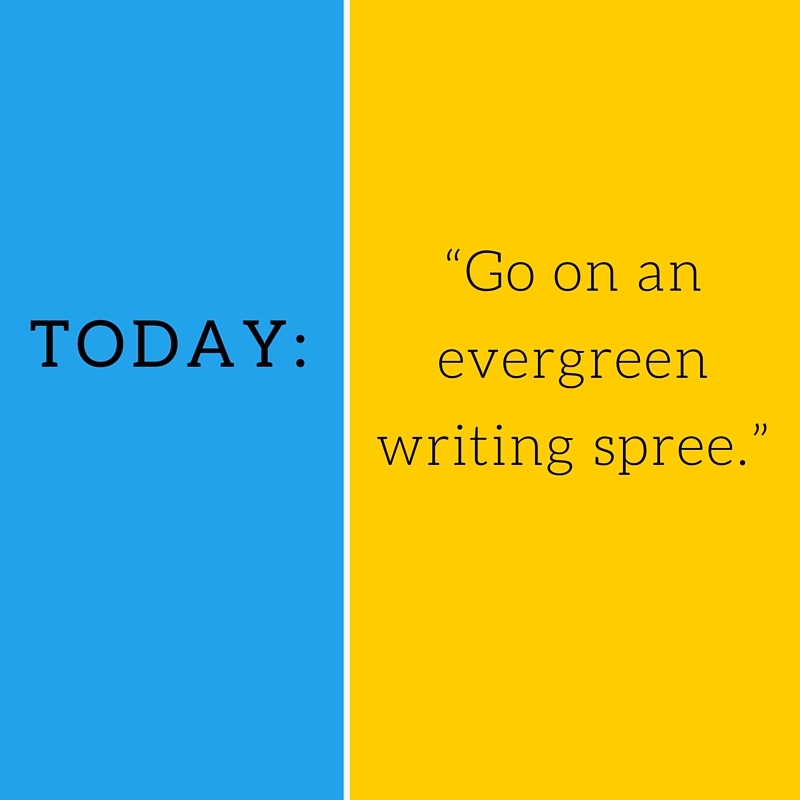 Go on an evergreen writing spree. 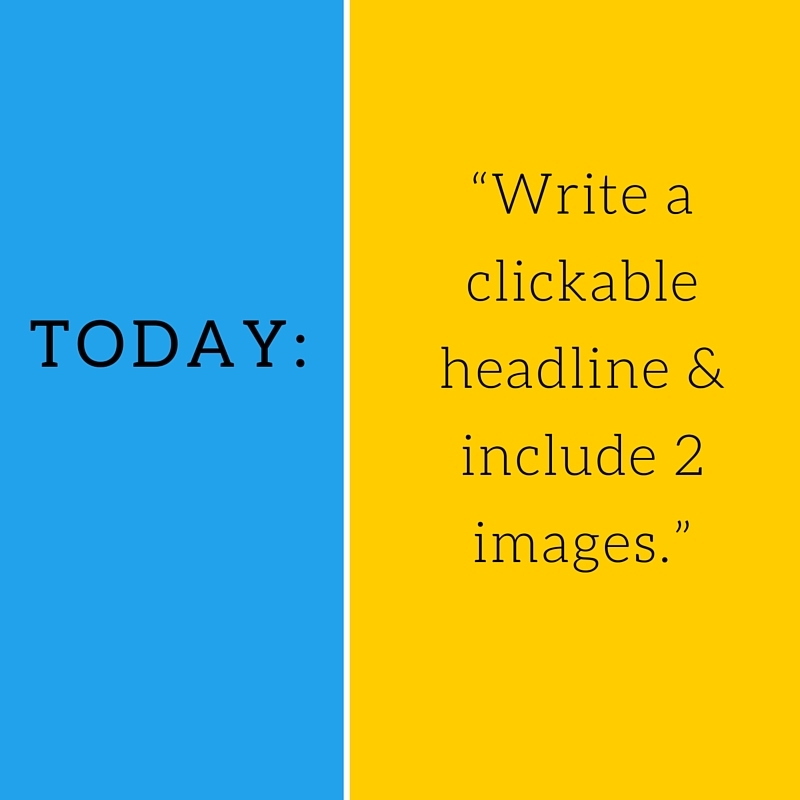 Write 5-10 articles that you know you can post today or in six months and they’d still be significant. Keep them in your arsenal for when times get busy or writer’s block hits. According to the BuzzSumo, longer content gets more shares. In fact, they found 3,000-10,000 word pieces get the most average shares. 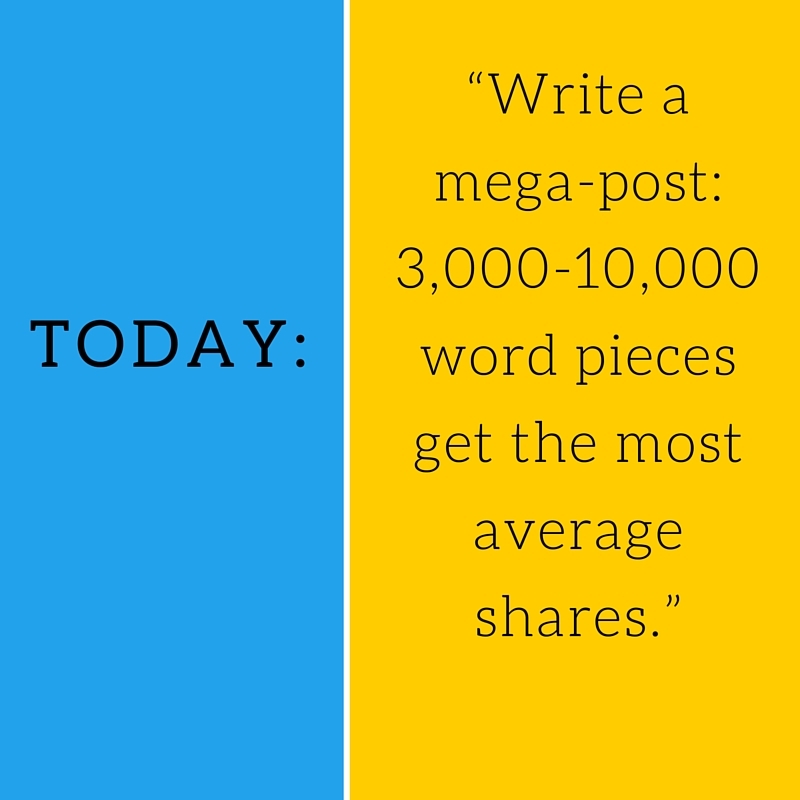 How many of your blog posts hit the 3,000 word mark? 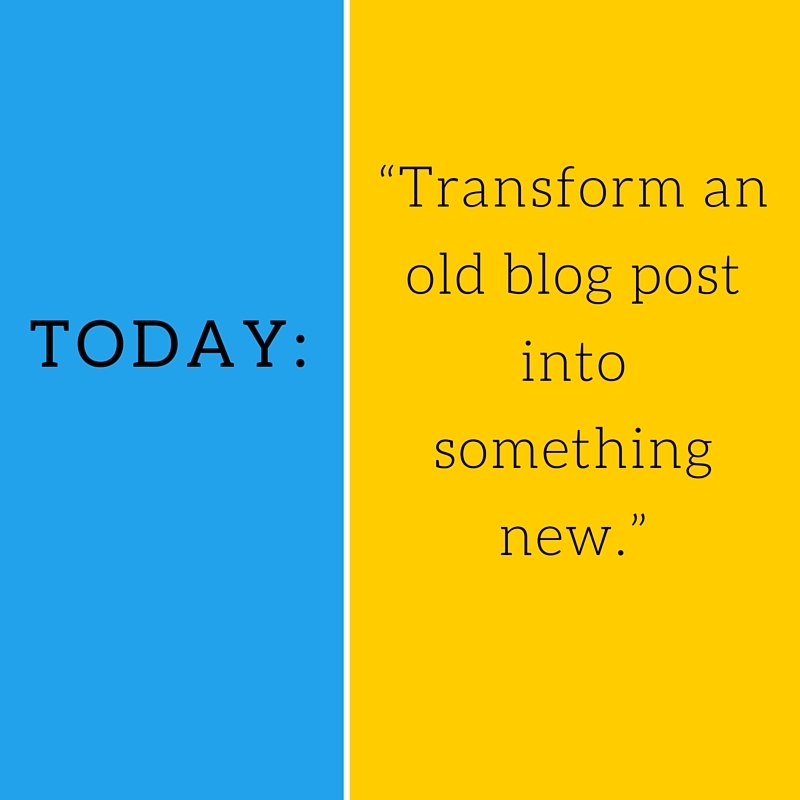 Blogs are flooded with 300-500 word posts. They are quick, easy and probably can get your idea across. 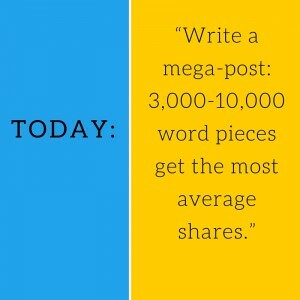 This reason alone is why you should write mega-posts – less competition. Fluff pieces are fun, but people are sharing the longer, more though-provoking ones. Beware of writing a text wall! Online readers are scanners so break up the text with subheadings, bullet points and lots of graphics. Of course you post your blog on your Facebook page and Tweet it too. Is that all? It’s not enough. 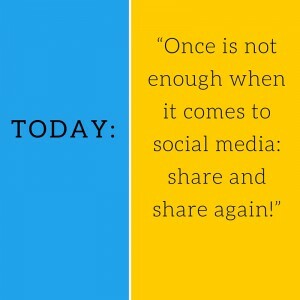 Ensure you have social sharing buttons all over your site. Add your blog link whenever appropriate: your email signature, your personal and professional online profiles, etc. If you don’t already have an email list, start one. If someone is willing to share their email address with you, they are excited by what you have to say and what to read more of it. Cherish this relationship! 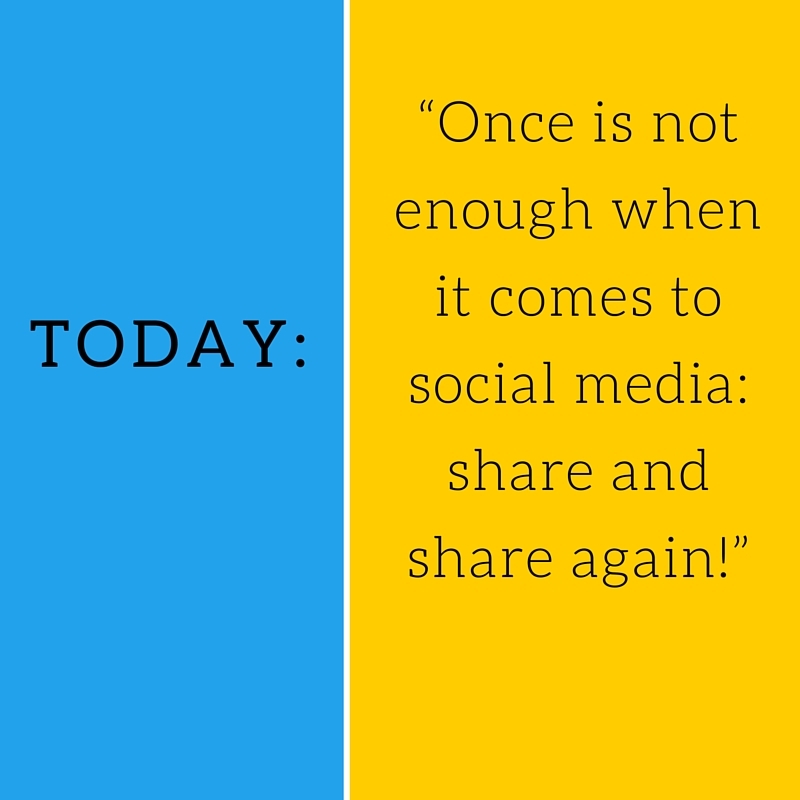 Once is not enough when it comes to social media. You published a fabulous blog, share the link on all your social media sites and think you are done. What about your followers who missed that post or tweet? Give them the opportunity to discover your latest post 2 or 3 days, or even a week later. Your evergreen content can be retweeted over and over again (not daily of course, you don’t want to be spammy!). Make sure your default tweet text is correctly optimized to encourage people to click. Typically, it should read: post title, URL and your Twitter handle. BuzzSumo found that after three days, the number of shares dropped at least 96% for the next four days. Don’t let your posts be forgotten. Share and share again! You’ve got your social media site strategy set, where else can you share your blog? There are a number of still relevant sites including StumbleUpon and Reddit. Alltop can help people looking for information in your niche find you and Triberr allows you to meet other bloggers and share content. 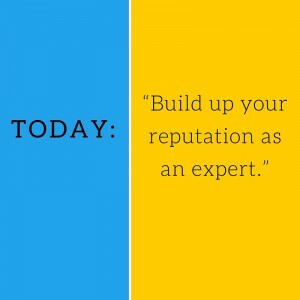 As you want to build up your expertise (see below) answering questions relevant to your blog’s topic on sites like Quora and Yahoo Answers will put your name out there as an expert. 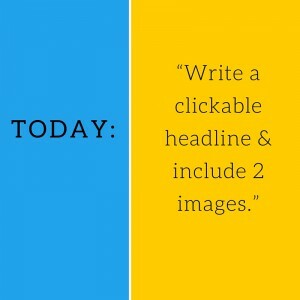 You have got to have headlines people want to click and images that yearn to be shared. Try adding text to your blog post images and also include the post title and URL in your blog images. This is great for when the image is shared or pinned. Research has found that having even one image in your post dramatically increases the chances of it being shared on both Twitter and Facebook. 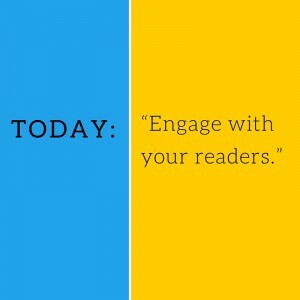 Your headlines are basically an invitation to your blog – no matter how great the content is, if the headline isn’t appealing, no one will make it to your blog. You need to interest potential readers and offer them a ‘reward’ (benefit) for reading your blog. What knowledge will they get by clicking on your link? Your blog is your niche. You have a talent, knowledge, skill or something that others don’t have but want to learn about. Be generous and open with your knowledge and your readers will generously like and share your posts. Be sure to also invite and respond to comments. 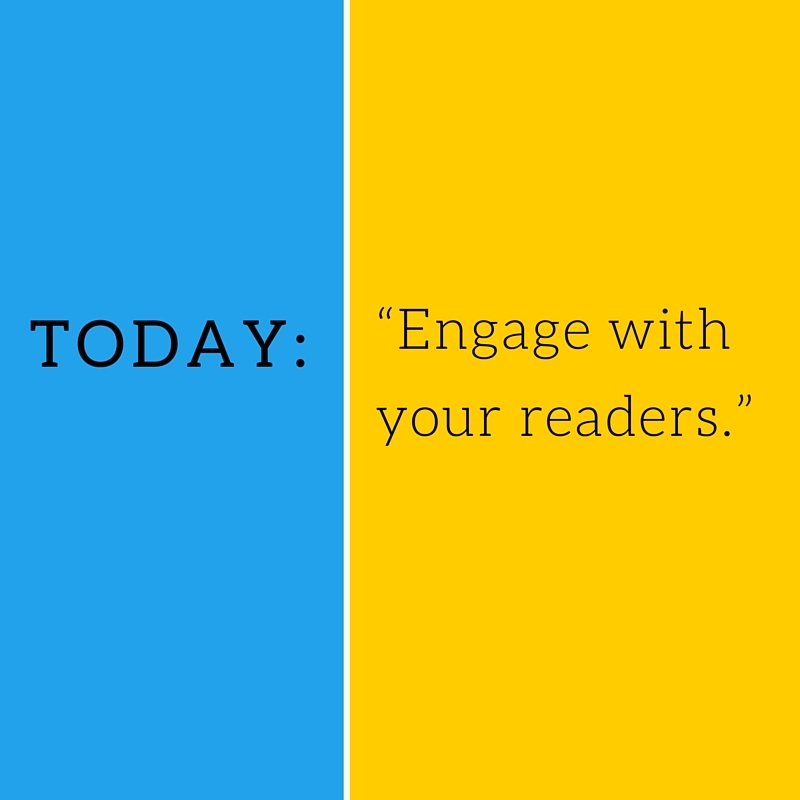 This creates on-blog engagement and shows your readers you are human and care about them. It’s also a great way to generate new blog ideas – what questions are people asking in your comment section? Write a post answering them! Another great way to increase your professional standing is to join industry Facebook and LinkedIn groups. 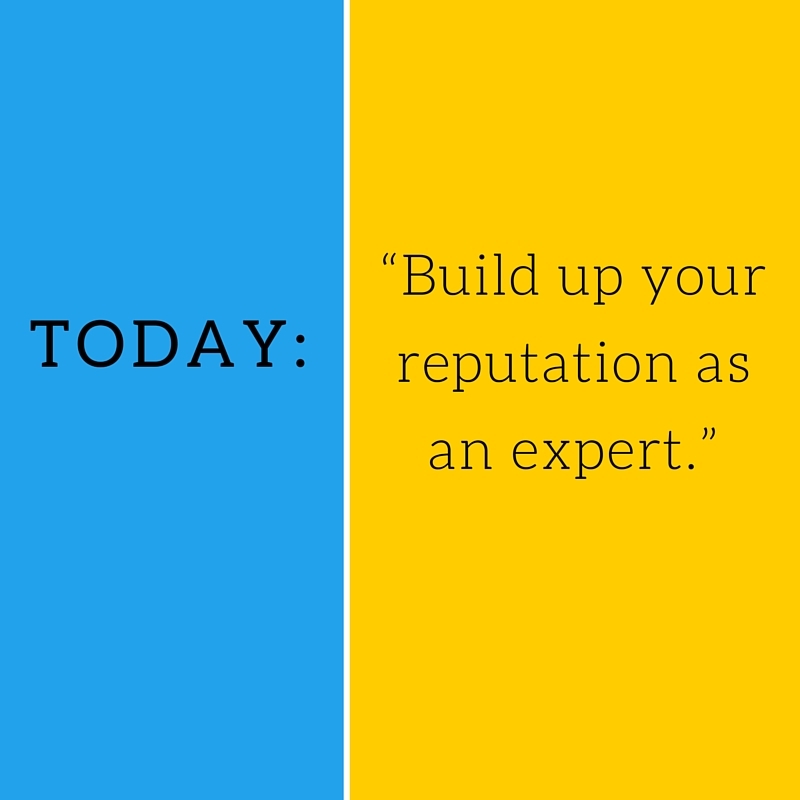 If you offer valuable advice and information you will build relationships and eventually drive traffic to your site. These ‘new’ pieces will be shared differently, which means they have the potential to be seen by a whole new audience. Which of course, means more traffic. Can you write a quiz? Create an infographic? Listicles are also popular and very well-shared. More people are apt to share list posts and infographics than any other content type. It all comes down to squeezing the most out of what you already have.